What's your Video Conferencing Strategy? With so many different technologies available for video conferencing. Old, New, Hybrid and Cloud systems all emerging and integrating in different ways... We decided to come up with 5 categories of video conferencing strategies that are most prevalent in today's workplace. This is by far the fastest growing segment of the crowd here. Low start up costs paired with almost zero IT infrastructure or support required makes for a attractive solution. From free solutions like Skype who have over 300,000,000 users to paid services like GoToMeeting which claim over 34,000,000 meetings just in 2013! This strategy works for 80% or more of the industry because it's straightforward and simple to implement. Traditional Video Conferencing or "Standards Based" video conferencing was the only option for business looking for high quality video calling 10+ years ago! Fortune 500 companies with existing Cisco and Polycom infrastructure still use this equipment equipment installed in conference rooms and boardrooms across the world. But the numbers show quarter after quarter that Polycom and Cisco's presence in the video conferencing space is shrinking. Even when Cisco and Polycom dominated the market only a small portion of high end boardrooms were equip with video technology. Tradtionally the overall market penetration was low because costs were too high. BlueJeans is the pioneer in this space, providing support for H.323 & SIP room based systems from the Gecko and tying them into their cloud offering. Now services across the map are offering hybrid "Gateway" connections for existing H.323 & SIP video conferencing systems. Zoom.US is perhaps the most affordable service charging only $49/Month per H.323/SIP Gateway. But they are rivaled by services like Spontania and Vidyo who offer integrated H.323/SIP support standard. On-Premise is a enterprise favorite for various reasons. On-Premise is the most secure and offers the most flexibility for complex environments. It should be mentioned that most cloud based providers (like Zoom.US and Vidyo) are also offering On-Premise installations. The most popular on-premise video conferencing also offers unified communication platforms such as Cisco Jabber and Microsoft Lync. Both offer "Site License" pricing models familiar to IT managers who manage large deployments of IT solutions. One of the most interesting "On-Premise" providers is TurboMeeting.US who offers a "Buy your Own Server" model where you never have to pay monthly fees. This approach involves a one time upfront purchase and a ROI of 6-12 month. Remote support is a huge part of Information Technology today and you find these features built into almost every online meeting software to handle it. LogMeIn, TeamViewer and JoinMe are among the leaders in this space but they are quickly followed by cloud providers like WebEX and GoToMeeting who already provide conferencing and support "remote keyboard and mouse control" as an add-on. Most online meeting software providers have picked up on this simple feature and now provide remote support control as a standard. Let's be honest some people just don't need video. Sometimes a high quality phone call is all that's needed. The two main audio conferencing paths are either: Analog or VoIP/SIP. This is a important distinction because it does tie into various cloud based video conferencing integration's. For example if you have a MS Lync deployment, Lync does not support analog or VoIP connections without a external bridge. If you are using GoToMeeting or WebEX with a analog phone and recording your meeting, the audio may not come through at all. Phoenix Audio has come out with USB to Analog and USB to VoIP bridging microphones to solve these problems. This is an industry of emerging technology on two fronts: Hardware and Software. USB hardware is growing to fit the needs of this complex industry. We are already seeing USB Pan Tilt Zoom cameras replace traditional HDMI and DVI-I video cameras. The same is true for USB microphones replacing traditional XLR connections. On the software side, we are seeing new companies like Zoom.US and Spontania undercut GoToMeeting and WebEX the established players in the market. Both Zoom and Spontania actually offer better features and more flexibility on paper. GoToMeeting has been on a rough ride lately with supporting bandwidth needs and dropping calls. But overall the industry is becoming more affordable and more powerful than ever. 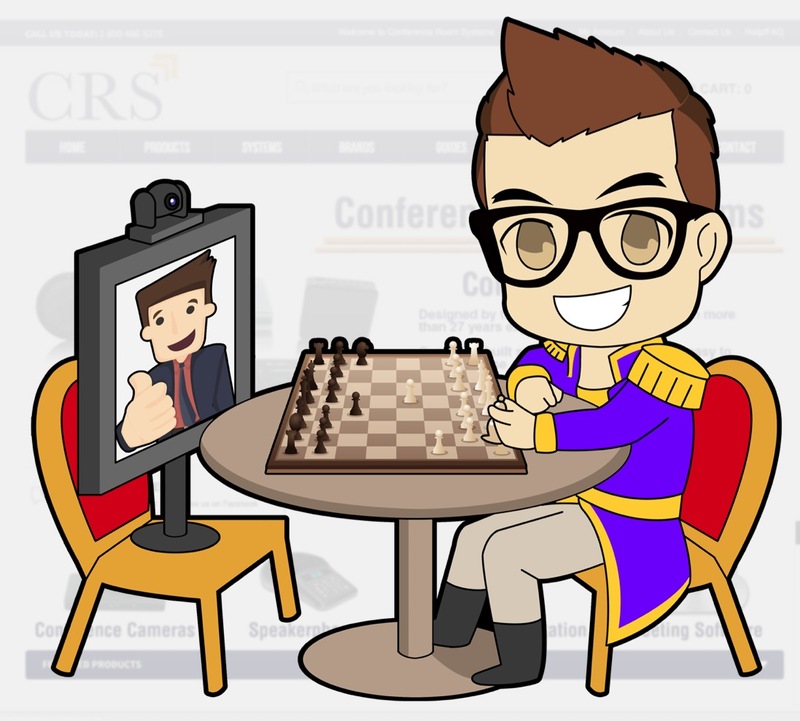 So what is your Video Conferencing Strategy?